The Hürtgenwald was a forested area just inside the German border and east of the city of Aachen. 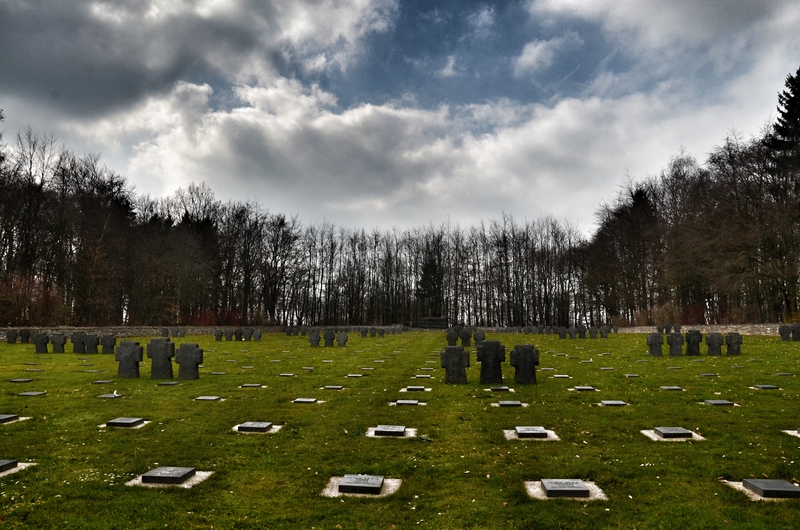 It was protected to the south and west by the Siegfried Line but was reached by American troops in September 1944. 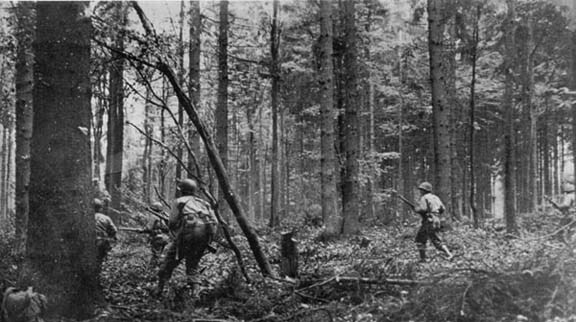 The fighting in the Battle of the Hürtgenwald lasted well into December 1944, and the final breakout in this area did not take place until early 1945. It was a tough, costly battle: one observer called it “Passchendaele with tree bursts”. 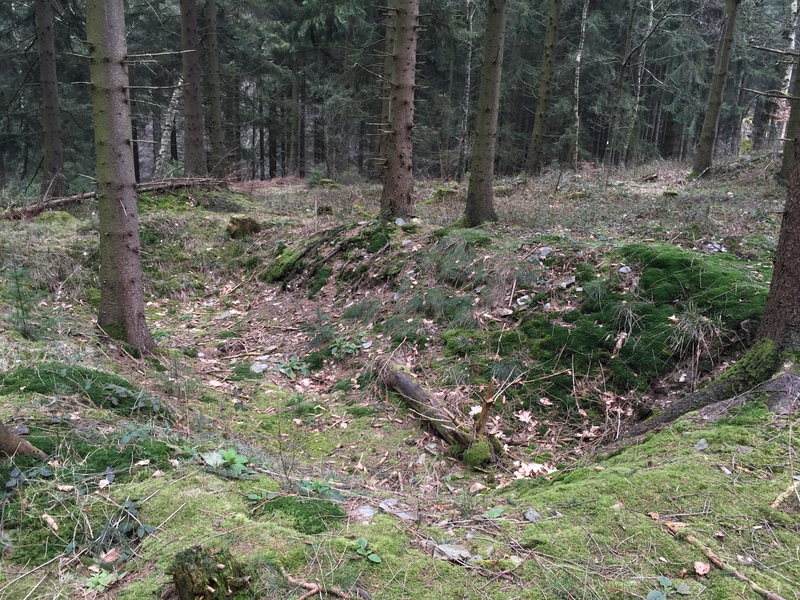 On the recent exploration of the Siegfried Line we spent a day in the Hürtgenwald and explored some US positions in a wooded area near Vossenack. The 28th Infantry Division were here in 1944 and attacked from the wooded area through the village to the high ground beyond. In the wooded area we found a number of foxholes, machine-gun positions and what looked like a company headquarters position. It is a national forest and open to all, but sadly we found evidence of metal detecting which often destroys important sites like this, which should be preserved. Such detecting is illegal in France and as every with battlefield exploration go in, visit, photograph and leave a site as you found it.